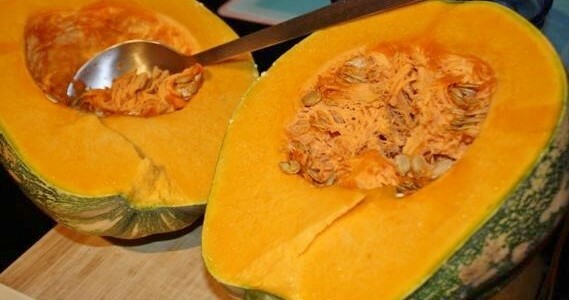 Caribbean Pumpkin, sometimes called Calabasas, is a staple vegetable in the Caribbean region. It is used to make Breads, Snacks Desserts, Soups, Stews and other native Caribbean dishes. Calabasas got its name from the Spanish word “Calabaza” meaning “pumpkin” or “gourd”. The color and texture of the flesh is bright yellow/orange with a creamy buttery like flavor and texture. Calabasas pumpkins are slightly greenish yellow - some almost dark green to almost black in color - and does not resemble the bright yellow fall pumpkin found in most USA markets. Actually Caribbean pumpkin is more comparable to squash than the typical North American pumpkin. In a medium bowl add mashed pumpkin, sugar, egg, milk, and vanilla extract. Mix until thoroughly combined. Sift the flour, baking powder, cinnamon, nutmeg, and ginger together and fold into the pumpkin mixture. Set aside for 5 minutes. Heat the oil in a large skillet over medium high heat, and fry the fritters on both sides using a large spoon until golden brown (about 10-12 minutes) - adjust heat to prevent burning. Remove from heat and place on paper towels to drain. Serve warm with mango cream cheese spread. 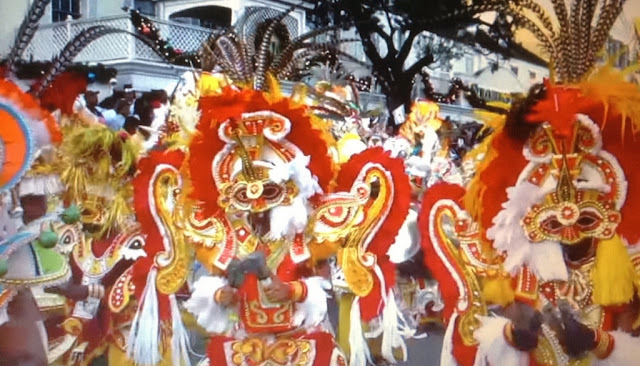 Caribbean Culinary Tours is now taking bookings for a 7 Day Caribbean Food, Wine and Rum Cruise aboard Royal Caribbean.